As the founder of EarthWrites Consulting, Linda Zukowski has over 15 years of experience in business writing, proposal writing, training and evaluation services for the environmental community. Linda has worked with agencies involved with issues such as marine pollution, land conservation, air pollution, habitat restoration, clean water, endangered species, environmental justice, sustainable growth, as well as environmental issues affecting Native American tribes. Her extensive client list includes such well-known organizations as the Cousteau Society, Waterkeeper Alliance, Natural Resources Defense Council, Habitat for Humanity, the University of Southern California and the City of Los Angeles. Linda also has worked with the Hopi and Navajo Nations in Arizona. With career experience as a corporate executive, teacher, written communications consultant and environmental fundraiser, Linda brings an unparalleled depth of knowledge and expertise to EarthWrites Consulting. Linda is a popular speaker at fund raising conferences and has taught numerous workshops on corporate philanthropy. She has written two books on philanthropy and non-profit management, which have been used as course texts at university non-profit management programs throughout the nation. 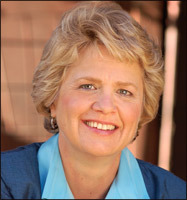 Linda has a Master’s Degree in Education and attended the Executive Education Program at Harvard Business School. She is a member of the Harvard Business School Association of Southern California and the Association of Fund Raising Professionals. When she is not sitting in front of the computer, Linda usually can be found outdoors. Her interests include scuba diving, running, swimming and hiking.